We are excited to announce that 5’ libero/defensive specialist Madyson Likes has chosen to attend Barclay College in the fall and major in Business Administration. She is the daughter of Leroy and Raegan Likes of Haysville, KS. 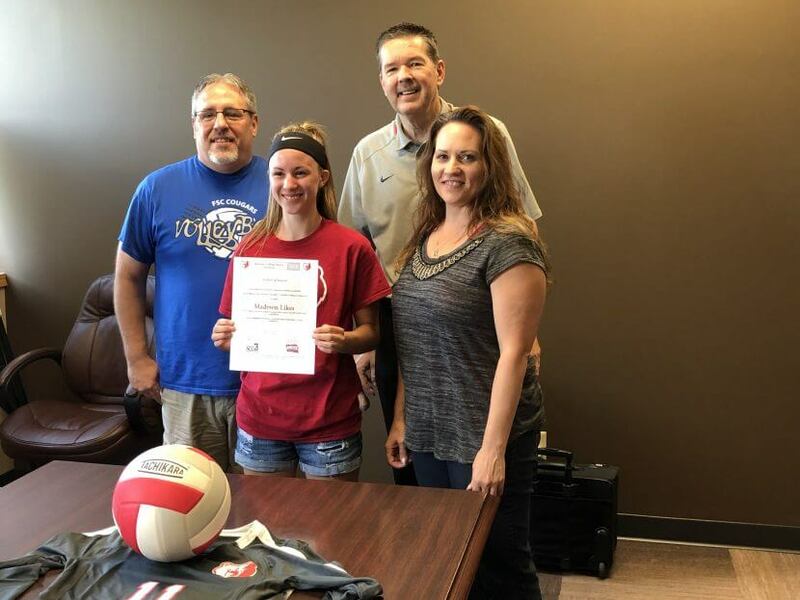 Madyson attended Campus High School in Haysville where she played volleyball and was also a member of the FSC Cougars club team. When Madyson was asked why she chose Barclay, she said, “The atmosphere of the campus feels like a big family. Everyone is extremely welcoming and the Christian values were appealing to me. I look forward to attending school and continuing my personal and spiritual growth.” Volleyball coach, Larry Lewis, had this to say about Madyson: “Defensive positions in volleyball are just as important as offense, so signing someone of Madyson’s caliber is going to be a real plus. Her former coaches spoke highly of her work ethic, desire to be a team player and her solid fundamentals. She will be a great fit with the outstanding group of young ladies coming back.” We welcome Madyson Likes to the Barclay family!